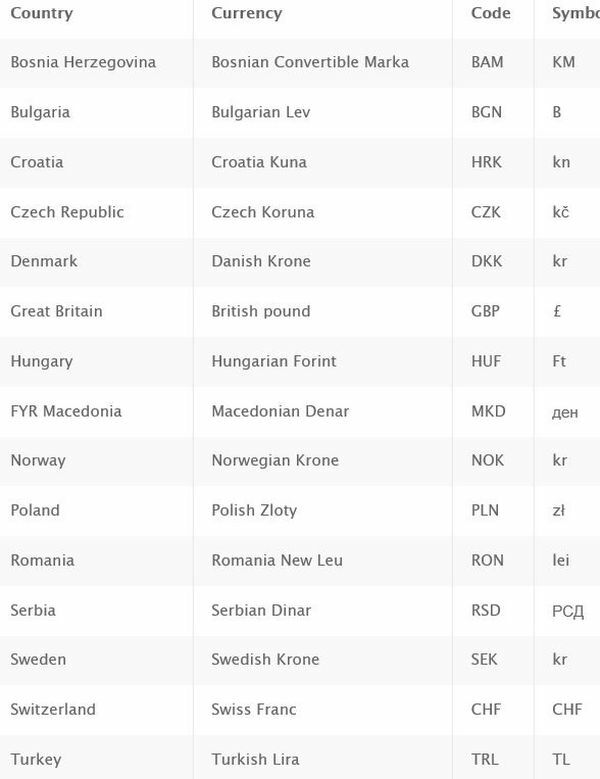 As if we needed reminding how little we understand our European neighbours, a study commissioned by Airport Parking and Hotels (APH) reveals we Brits have a shockingly poor knowledge of which countries use the Euro – even after the EU referendum. The poll asked 1,000 people which countries they think used the currency, first introduced in 2002. Malta does – but only 26% of the sample knew that. Cyprus does, but 68% didn’t think so. Portugal does, but 47% thought it still had its own currency. Countries in Eastern Europe proved the most difficult. Only 13% believed Slovakia uses the Euro, and only 14% thought Slovenia and Lithuania did. There are 11 currencies of the European Union as of 2015. APH says the confusion has led 23% of Brits to take the wrong currency on trips. Be warned, and do your homework.